Ok, yes, i took this photo outside the ladies, because that's the only place with a window in Gurney Plaza! lol!! Excuse the smudged part, i accidentally rubbed my eyes!! your skin definitely looks glowy, i love it! So pretty!! 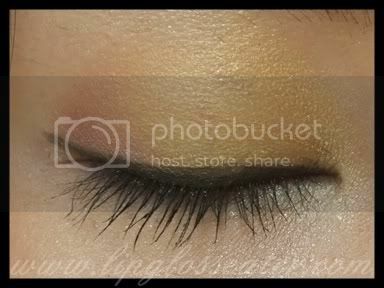 Very dewy and gorgeous! Wow, your skin looks great! Dewy and smooth! Your MAC SA did a great job. I like how she lined your eyes. ;) Very pretty look! Yup! Love the eyes and cheeks! Did you just requested a makeover at the counter? Or did you have to purchase a certain amt? In S'pore, I think we've to purchase $100+ worth of products! 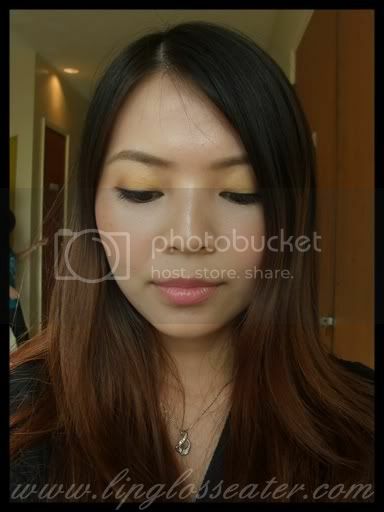 So crappy... and I found out cos I requested a MUA to suggest 2 e/s colours and teach me how to apply them! Can you do a short review on your visit? wow..this is the clearest photo I've seen! You look lovely!! And I love how the makeover came out!!! Dang girl, you have fantastic skin! BTW, what did you get there? Love love love the glow! You should have at least ONE MSF. something that's closest to your skin tone perhaps so that you can use it everyday? love the whole look! you esh so pweety! 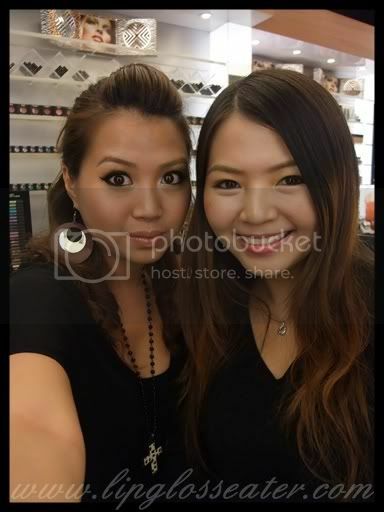 omg gal..i look so chubby at d pic T_T" and u look so gorgeous here =)!any1 interested bt m.a.c on mode makeup workshop at g hotel penang on tis 25/26 july?u can learn d latest trend makeup skill on tis work shop!for more info feel free to cal me(0124265318/2297137) k!